National Trust walk this month is great for the family. 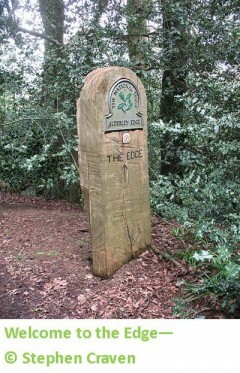 Summer is almost upon us and we recommend you start with the National Trust walk at Alderley Edge. Today the Alderley Edge area is home to several Manchester United players and actors from Coronation Street. David Beckham and Cristiano Ronaldo have even lived here in the past. Much earlier, there is even evidence this National Trust site has previously been home to Celts, Saxons and Romans. 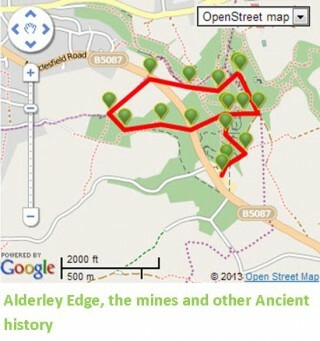 To make the most of the beautiful countryside at Alderley Edge, we suggest the “Alderley Edge, the Mines and Other Ancient History” walk. This route takes in the ancient copper mines, first constructed during the Bronze Age and later used by the Romans. These mines are built in a dense labyrinth of caves, which you can visit on a guided tour with the Derbyshire Caving Club. Over the last 20 years, five ancient gold bars have been found at Alderley Edge, making this a popular destination for treasure seekers – and somewhere to excite the children on your family day out! In the surrounding woodland there are also several wells, one of which – the Wizard’s Well – dates back to pagan times and the water that runs through it is said to be a good cure for infertility. Above the well is a carving of the Wizard, added around 200 years ago. To read the legend of the Alderley Wizard click here. 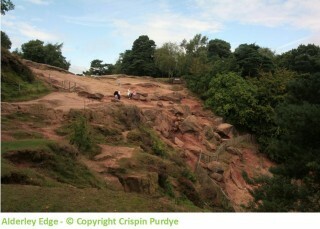 Our suggested route is a 2.5 mile circular walk, starting off at the Alderley Edge car park. The walk takes in several of the mines in the area, and passes through the beautiful woodland nearby. The start and finish point is also in close proximity to The Wizard pub – perfect if you fancy a bite to eat after your walk. The route is available to download to your smartphone, via ViewRanger. Follow the link here, for more information. If you do take a trip to Alderley Edge and try out this route, why not comment here and let other people know what you enjoyed about this National Trust site. If you take any pictures, please feel free to post them on our Facebook page, or tweet them to us – we love hearing from you!